12 or more - $32.99 ( $431.88 $395.88) . Even a low-allergen diet cannot provide absolute protection, but it reduces the risk of allergies. We use this for our baby who has a protein allergy. Its easy to measure and mix. It dose not smell bad or stain clothes! Wish the free shipping was faster. My daughter couldn't stand the Puramino hypoallergenic formula and the powder even had a bad smell. 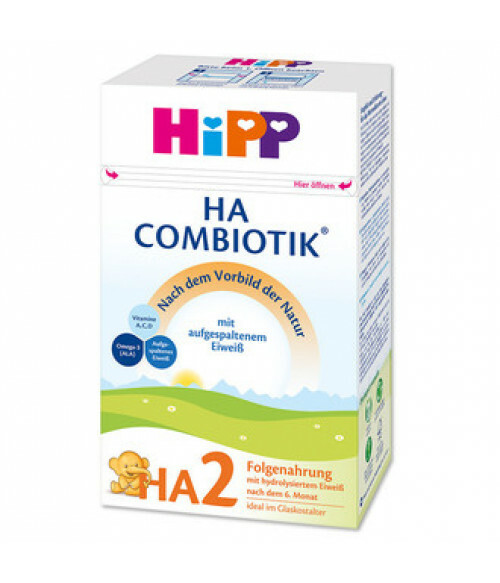 This HiPP formula not only tasted and smelled better, it also didn't have any corn syrup or other artificial sweeteners. Unlike any American-made equivalent, the first ingredient is lactose and most importantly, my baby loves it.